An elegant, long stemmed champagne flute with a romantic pink tint is the perfect gift or memento for an engagement, wedding, birthday or anniversary. 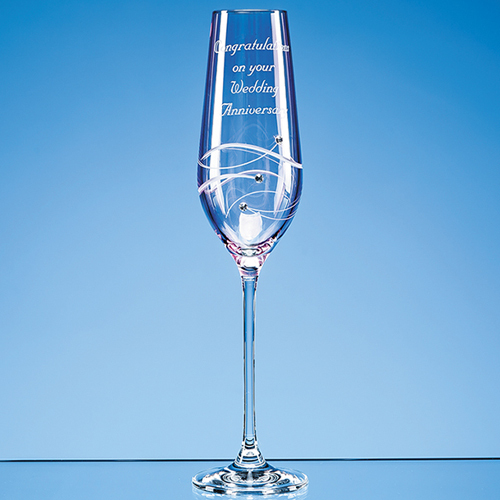 Finished beautifully with a delicate spiral cut pattern and three sparking Swarovski Diamante crystals there is space to personalise this gift with the engraving of an inscription, message or date. To make it extra special, why not order with a beautiful presentation box lined with satin?